Is your family facing the difficult aftermath of a birth injury? As an expectant parent, you looked forward to the moment that you would finally meet your baby. In anticipation, you may have prepared in the way that many soon-to-be parents do: decorating a nursery, closely monitoring the mother’s health or even playing music or talking to the baby during pregnancy. When the pregnancy, birth or neonatal care injures the baby, the consequences can be a parent’s worst nightmare. If a doctor or other medical employee was negligent, the baby could suffer a lifetime of preventable pain, limitations and emotional suffering. In certain cases, medical errors can cost a family the life of their child. At Elk & Elk, we have seen firsthand how birth injuries impact Cleveland families. They can affect the child’s health and future – as well as the parents’ lives and household finances. Birth injuries due to negligence may cause myriad problems that your family would not otherwise face, which is why you have a legal right to pursue a medical malpractice lawsuit. We have offices in Cleveland and Mayfield Heights, but we are available to meet you in your home or the hospital in Parma, Lakewood, Euclid, or anywhere else in Ohio. We are happy to meet at a location that is convenient for you. Some babies may be born with medical conditions or features that are a result of genetic risks or unavoidable complications. The birth injury cases that our firm handles, however, involve preventable damage to babies due to medical malpractice. Infants are highly fragile throughout pregnancy, and they are especially vulnerable to damage from forceful actions or carelessness during labor and delivery. The doctors and nurses involved with your childbirth are responsible for minimizing the risk of injury by performing up to the standard of care. This means that they have a legal obligation to know how to prevent birth injuries and take the necessary steps to do so. Brachial plexus birth palsy or Erb’s palsy: This condition is a result of nerve damage to the baby’s shoulder. Nerve damage may occur if the doctor applies too much force, uses improper techniques, allows prolonged labor or fails to recognize risk and schedule a cesarean section to avoid injury. Cerebral palsy: This serious condition may have a variety of effects on the child’s muscles and brain. 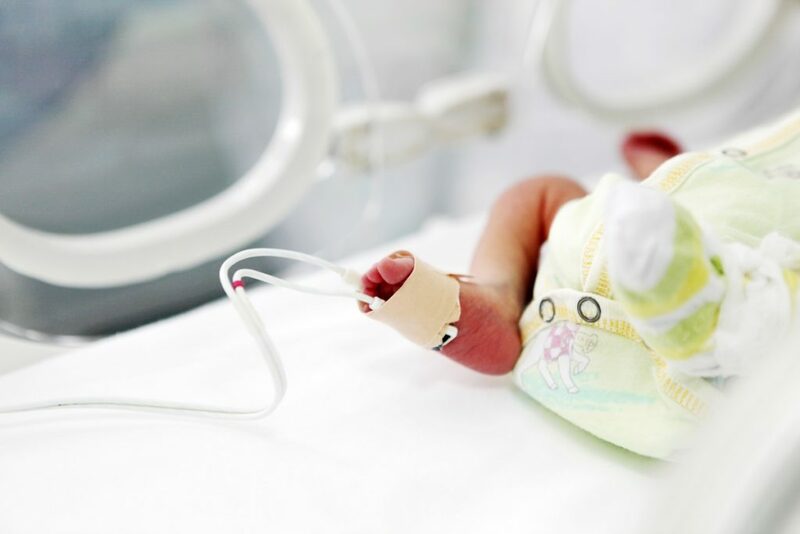 A provider’s failure to monitor the baby’s breathing after birth or the mother’s health during pregnancy could allow the baby to develop cerebral palsy. Hypoxic-ischemic encephalopathy (HIE): Oxygen deprivation can affect an infant’s brain before, during and after birth. Doctors and nurses need to check both the mother’s and the baby’s health to make sure that the baby has the proper oxygen supply. They should also take reasonable steps to manage common risk factors of HIE, such as preeclampsia or problematic fetal position. These conditions do not always indicate medical malpractice; some may develop because of other reasons. However, it is important to evaluate how your health care providers handled your pregnancy and labor. Depending on the situation, you might discover a major medical mistake. Read our free white paper: We recently published a white paper titled, “Protecting Ohio’s Babies and Mothers: Understanding Premature Delivery Rates and Infant Mortality In Ohio”. The stakes are high during pregnancy and labor. During babies’ critical early stages of life, they need constant attention and support. In the first few days following birth, they may need medical intervention to learn how to physically thrive on their own. One accident or misjudgment could change an infant’s life forever. If your baby suffered harm, you may need the help of a qualified attorney to investigate whether your doctor made a mistake that constitutes malpractice. At Elk & Elk, we search for scientific evidence and medical records that point toward medical negligence. The consequences of birth injuries range from emotional suffering to financial loss. If your child was injured at birth, he or she may experience intense pain at a delicate age. Some injuries may delay or prevent mental and physical development. Your family may also face long-term lifestyle changes and expenses. Families that experience the effects of birth injuries often just want a normal life for their child. The child’s education, social relationships, career, self-esteem and quality of life may be impacted by injuries at birth, and parents may struggle to find solutions. For this reason, Ohio law entitles victims of birth injuries to file medical malpractice lawsuits. Is a lawsuit going to help? The damage that you and your child suffered may be a lifelong challenge – and a lawsuit cannot change the past or right a negligent doctor’s wrong. As a parent, you may feel hopeless in the wake of such a devastating development, but you still have a chance to fight medical negligence. A lawsuit could give you emotional closure, help you find justice and make medical care or lifestyle adjustments more affordable through compensation. The decision to sue is a personal one, but you should start by having all the legal information you need to make educated decisions for your family. No dollar amount can reverse the injuries, but compensation can help your child lead the best life possible. Many families might struggle to afford the necessary ongoing care for their child without it. To give your case a better chance of success, hire an attorney who has significant knowledge and experience with birth injury litigation. Our passionate lawyers work to improve the lives of children who suffered injuries at the hands of a medical professional in Cleveland, Mayfield Heights, and beyond. We can work to help you attain justice. When your pregnancy or delivery has unexpected problems and you believe that your medical provider is at fault, you need answers. Birth injury cases can be both legally complicated and emotionally difficult. Get a clear picture of your potential claim from a lawyer who can provide an accurate, realistic assessment. For a free preliminary case evaluation, complete our contact form or call 1-800-ELK-OHIO. Elk & Elk attorneys have earned a reputation for standing up to hospital defense lawyers – and for obtaining favorable case results for Cleveland families.